The Apple iPad Air MF019LL/A model has become available with Wi-Fi, Cellular access, comes with Wi-Fi, Cellular access and Retina Display Technology. 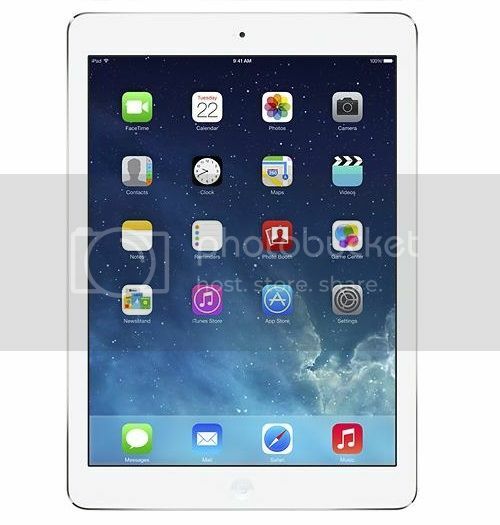 This Apple iPad Air has A7 chip with M7 motion coprocessor, 128 GB internal memory storage, 5MP iSight camera with 1080p HD video recording, 1.2MP Front Facing Webcam Pixels FaceTime HD camera, and with 9.7-inch Retina display screen. This 1.05 lbs Apple iPad Air has Built-in Wi-Fi (802.11a/b/g/n) with MIMO support, run on iOS 7 and with iCloud, has access to Over 475,000 apps on the App Store, runs on Lithium-polymer battery with up to 10 hours of battery life. Sale price is $750 with Silver color.